Lorene N. Conwell, age 86, of El Dorado Springs, MO, passed away on Thursday, August 8, 2013. She was born July 11, 1927, to Chester and Hattie Mae (Belcher) Bowyer in Kingman, Kansas. Lorene spent ten years traveling with a rodeo. 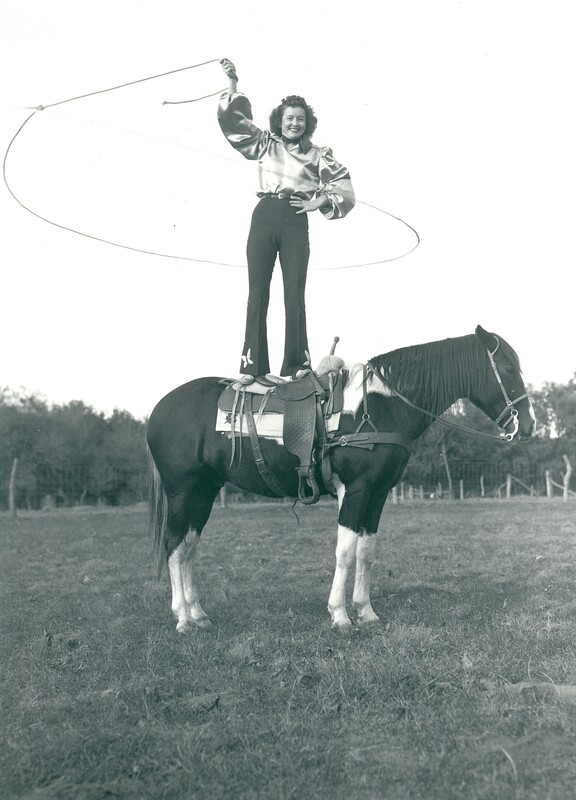 She worked as a trick rider and roper along with her father, three brothers and three sisters. She was an accomplished seamstress, making all of her costumes. In May, 1943, she married Robert Conwell. They celebrated 60 years of marriage this year. They lived in the Montevallo, Missouri area for the past 54 years. Lorene was a homemaker and enjoyed gardening, canning and sewing. She was a member of Community of Christ Church. Preceding her in death were her parents Chet and Hattie Bowyer; two brothers, Gene and Bob; and three sisters, Alma, Vera, and LaRue. Lorene is survived by her husband Robert; one son Steve Conwell and wife Cindy, grandson Bailey and step grandson Brandon, all of Thornton, CO; one sister Darlene Bowyer of Brighten, CO; and one brother Leland Bowyer of Lubbock, TX. Also surviving are special friends Mark and Wanda Tittle and family. Lorene will be greatly missed by family and friends. A special thank you goes to NRMC Hospice.